In case you haven’t noticed I have been obsessing over pumpkin! 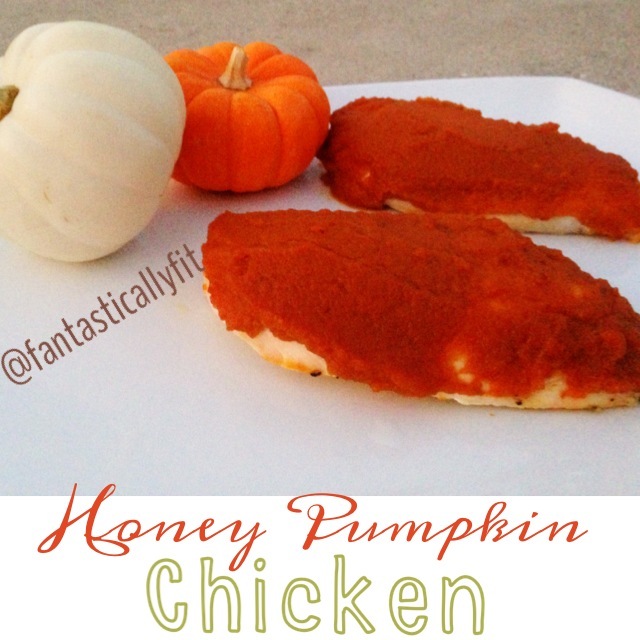 So here is another delicious and EASY pumpkin recipe! BOOM! Mix together pumpkin and honey until fully combined. Place chicken breasts on baking sheet and sprinkle salt on the chicken. Coat chicken generously with the pumpkin honey mixture. Bake for approximately 30 minutes or until chicken is cooked.